You'll be on a fashion "roll" in these Sushi Black women's socks. This pair of cotton blend novelty crew socks for women feature an allover sushi print plus ribbed trim. 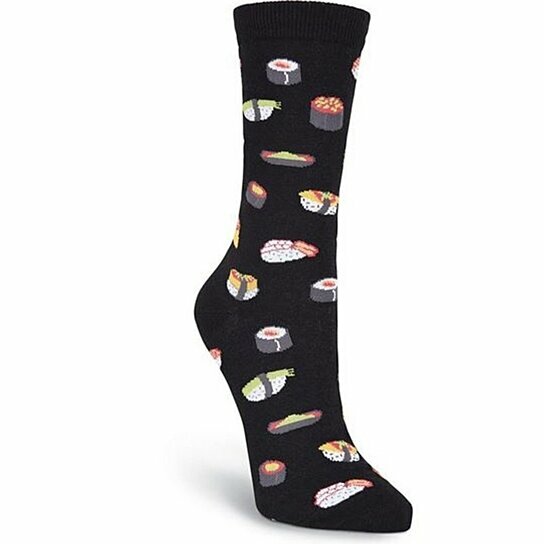 Wear these fun food socks the next time you're out for a sushi dinner!